Sales organizations spent $2.54 billion on sales training in 2017, up nearly $1 billion since 2010. Despite their best intentions, most companies fail to achieve a return on their investment. Why? 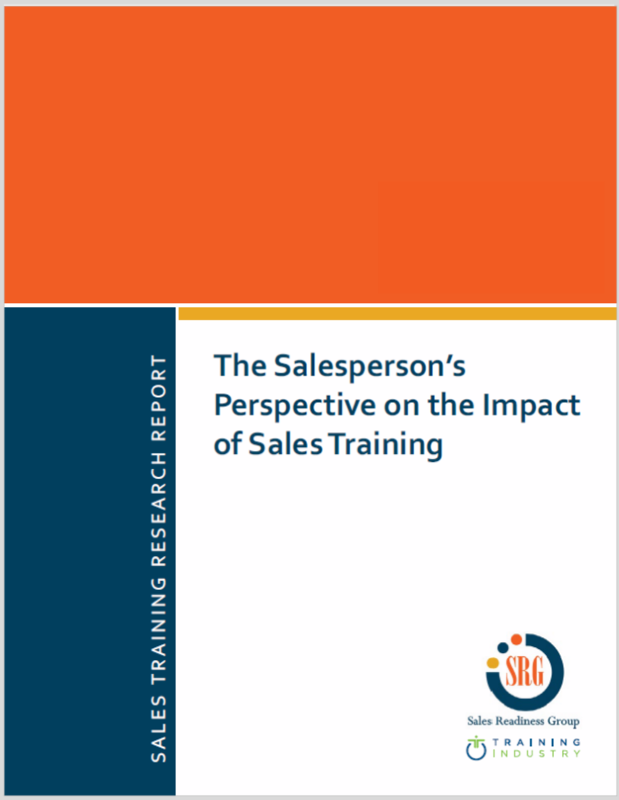 To examine this issue in greater detail, we collaborated with Training Industry to conduct a study to better understand the business impact of sales training. Based on this new research, sales organizations with effective sales training programs were more likely to have higher close rates, faster ramp-up time of new reps, and lower turnover. Sales Readiness Group (SRG) is an industry leading sales training company. Our mission is to help improve the performance of sales teams by providing customized, skills-based training programs that produce sustainable behavior change. Our solutions include comprehensive sales training, sales negotiation, sales coaching, and sales management programs. Training Industry focuses on helping dedicated business and training professionals get the information, insight and tools needed to more effectively manage the business of learning. The website, TrainingIndustry.com, spotlights the latest news, articles, case studies and best practices within the training industry.